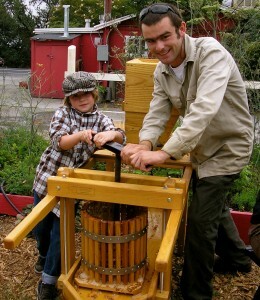 Mackenzie and yours truly pressing cider. 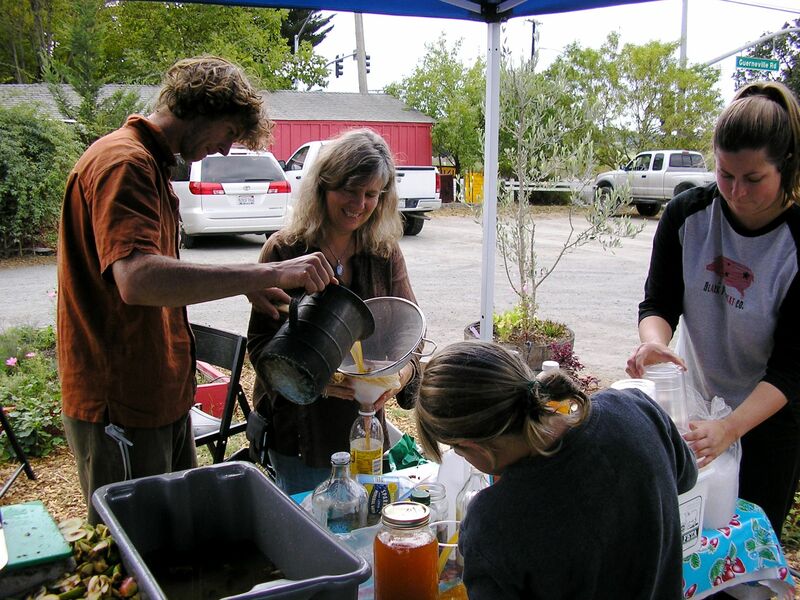 As part of the ongoing zazu farm stand, we brought a large wooden cider press to the restaurant and had a cider making party. 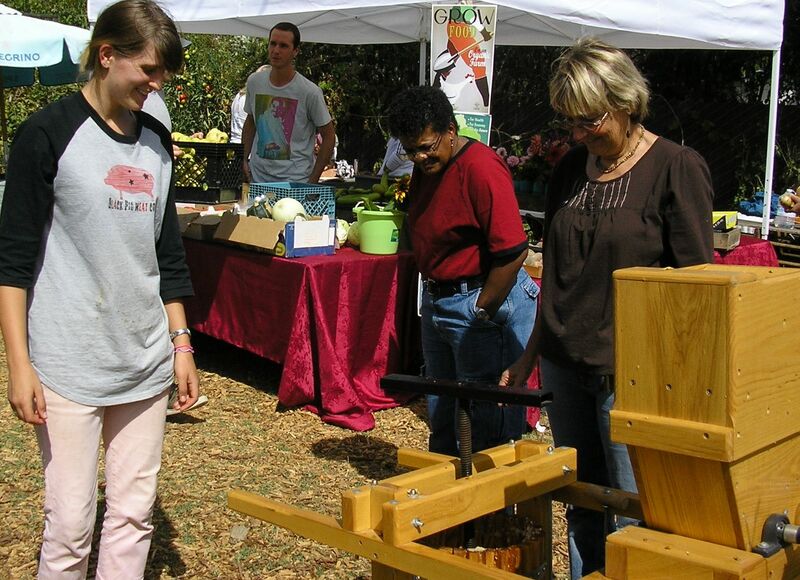 Making cider with this press is a remarkably simple process. 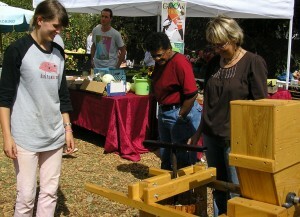 Apples are washed and halved and fed into the hopper, which chops them up. Once the press is full, you slide it under the crankshaft. You end up with lot’s of pomace, which Duskie fed to her pigs. On the 25th we are going to reduce some of the cider into a glaze for meat, and also reduce it with vinegar as a salad dressing. Many people also freeze the juice or make popsicles, just make sure you leave some room in the bottle so it doesn’t explode. We used mostly sweet varieties of apple like golden delicious, red delicious, and fuji, but we also added in some semi-tart jonathan apples. 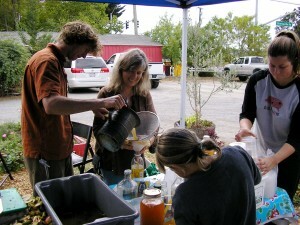 Sebastian an Kim Collet strain juice through cheese cloth as they fill up jugs and jars with Brydie and Rebecca. 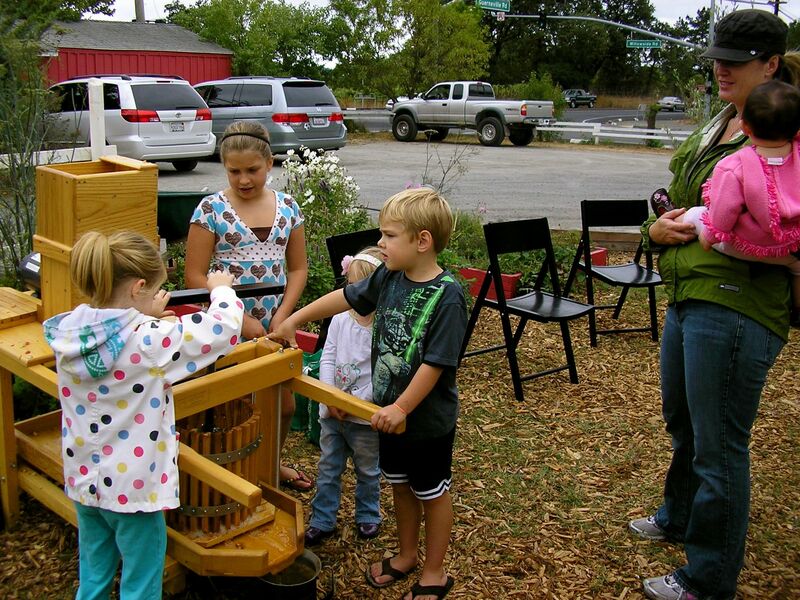 All eyes are on the asian pear juice which Kathy will be making into vinegar by adding Mother and letting it ferment. 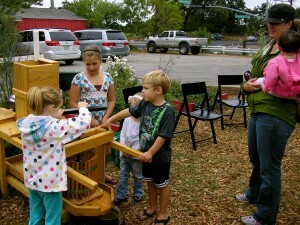 Kids wait their turn to press apples, delighted by this fun and delicious ritual. Nice job on the website. Making hard cider is very easy as well. Much easier than beer. I used the freshest unfiltered apple juice I could find – yours sounds like a good place to start.